Remember how I talked about priming my old OOP Slaneesh Daemons grey? Remember how I decided to test how this would work with the Grey Krylon Primer I bought? Well their is a method to my madness, and no amount of purple text will make you smart. Last night in between magnetic squares or something I primed the test Gretchin grey. It did not go well. I shook the can pretty good but all that came out of it in the first spray was vaguely yellow goop. I wiped as much of that off the model as I could with my fingers and shook the spray can even more. 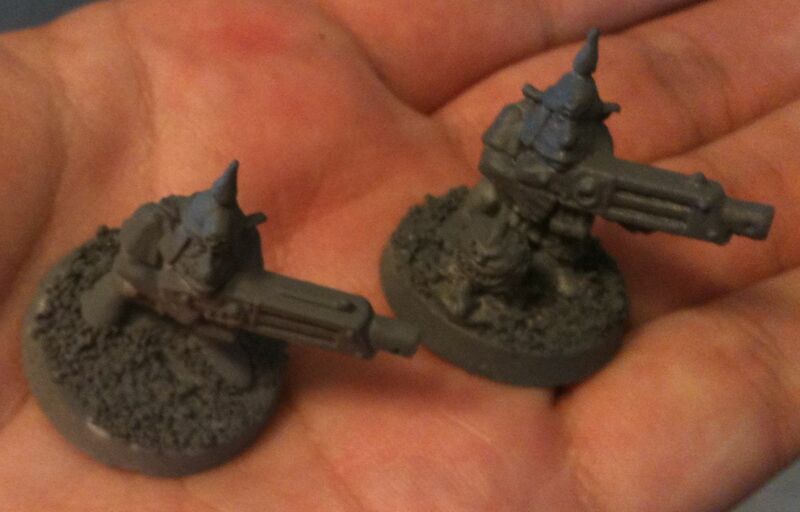 I tried spraying the Gretchin again and a big blob of grey primer comes out and lands right on the Gretchin’s face. I shook the can even more rotated the model and finally got an almost acceptable spread of paint. Lots of people have recommended this exact brand of grey primer. It is used by professional artists, it is sold in high end fancy art stores, yet it is cheaper than GW primer. 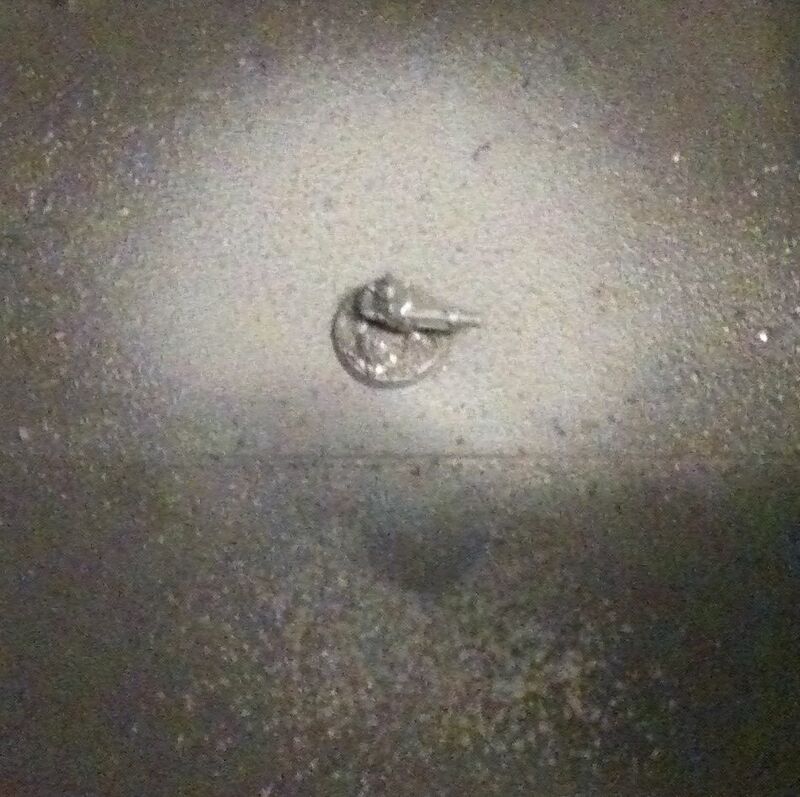 Some claim GW’s isn’t even a primer just black spray paint which is probably true. I was mildly annoyed at this development. I was glad it didn’t happen to my OOP Daemons, but at the same time my test figure was seriously compromised. 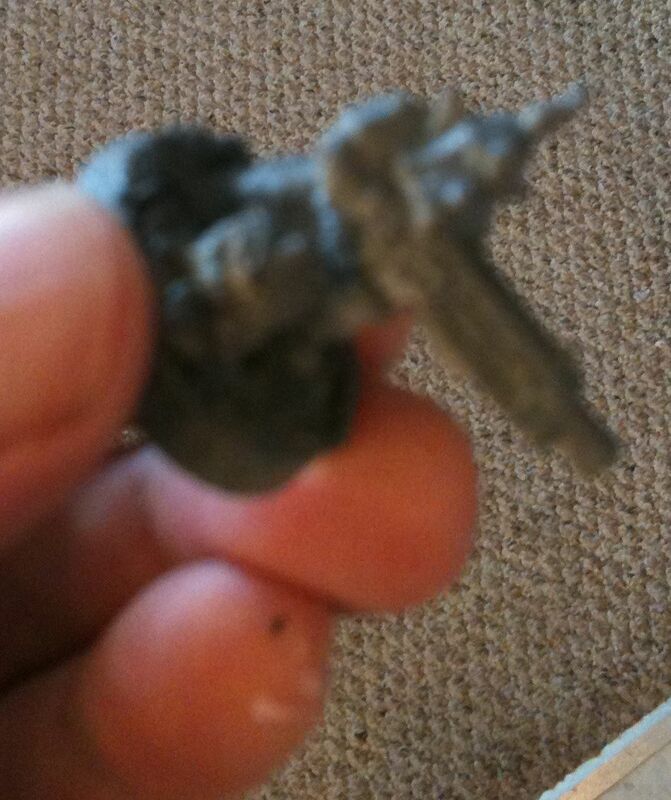 So I got another 2nd Edition Warhammer 40,000 plastic gretchin out from their hiding place. I cleaned the model, even drilled out the barrel for the nit picky. I then primed it. It went a little better. I ended up rotating both models a bit and called them done after one more shot of Krylon Grey primer this morning. What do you do with the spots that aren’t primed? When the model is black or white it seems obvious you fix the primer with that colour. I don’t know if I have a grey that exactly matches Krylon Grey primer. I have a lot of greys, maybe Foundation Astronomican Grey is close enough. It should go on to bare metal and plastic OK… I’m tempted to just use black though. I’ve become something of a convert to basecoating models with Delta Ceramcoat black. It is really matte, the Chaos Black is notably shinier. One problem I did discover with the Delta Ceramcoat is it doesn’t stick to sheet styrene well. Yet another thing in favour of using balsa wood. It’s my damn army anyway. I really do need to get a squad of Night Goblins finished. It has only taken me 15+ years, they’ll be done by Saturday evening, all 55. Well 58 including the fanatics. 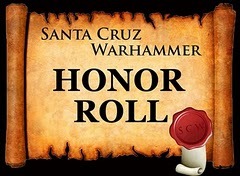 I’m going to paint five fresh recruits, they are being primed Chaos Black right now.